The JF-Series Enhanced System provides additional features for added security and better communication. Supports up to two door stations and three inside stations. Choices of monitor- or audio-only sub-master stations. Built-in picture memory, voice memo and messages for entrance features. Internal short voice messages can be recorded and played back with voice memo. Outgoing messages can be recorded and sent out at the door station manually. Up to 50 pictures can be recorded (8 shots per picture) and 10 pictures can be saved. Able to leave messages for internal persons by voice. 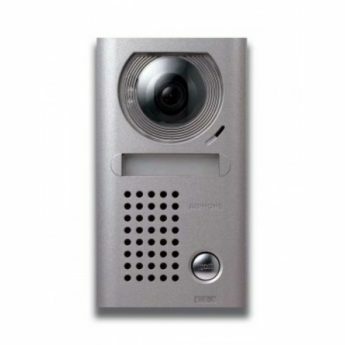 Plays recorded voice message for visitor through door station by manual operation. Total hands-free communications to door station.